The annual certification exam is controlled by the Canadian Translators, Terminologists and Interpreters Council (CTTIC) and administered by ATIO in Ontario. Only Candidates for Certification in good standing with ATIO are eligible to register for this exam. The examination is intended for experienced translators and interpreters who wish to have their competence recognized by their peers. It does not seek to identify aptitude or potential, but rather to attest to a candidate’s professional skills. A candidate who can produce a translation that is faithful and idiomatic and requires little or no revision is deemed capable of practicing independently. CLICK HERE FOR REGISTRATION FORM AND DISCLAIMER. To complete the registration form, Adobe Reader is required. Save the form to your desktop. Complete all fields and electronically sign the form. Email your completed registration to [email protected]. If you require assistance please email to [email protected]. Registrations are accepted on a first come, first served basis and will only be confirmed by the office at the time of payment. Please have a back-up exam date in mind in case your first choice is no longer available. There are no waitlists for sold out exam dates. PREPARE YOURSELF FOR THE EXAM. The certification exam in translation costs $335 + 13% HST per language combination. For example, French to English is one language combination, while English to French is another. The fees associated with this exam will not be reimbursed. The fees for certification exam in interpretation will be announced soon. If your language is not listed below; or if your language combination includes French, with the exception of English-French and French-English combinations, please contact us before registering. You must be a Candidate for Certification in Translation in the language combination you are registering for. The list below can only be “paired” with English. Candidates will translate one compulsory general text of approximately 200 words, and another text that is a choice between two somewhat specialized texts of about 200 words each. The translation exam is an open book examination: dictionaries and reference works are permitted, but may not be exchanged with other candidates. Starting in June 2019, Candidates for Certification in Translation will have the choice to write the exam either by hand or using their own personal laptop. In either case, all candidates will only be allowed to use hard-copy dictionaries, style guides, etc. Access to the internet, email, chat programs or to any electronic dictionaries, CAT tools, etc. will be strictly prohibited. The use of electronic devices including, but not limited to, cell phones, smartphones, smart watches, etc. is strictly prohibited. All interpretation exams include written and oral components. The ‘Written Component’ examinations will be scheduled for sometime in 2019. The ‘Oral Component’ examination will be scheduled for sometime later in 2019 and will be available only to those who passed their ‘Written Component’. More details for the certification exams for interpreters will be announced at a later date. Dictionaries and reference works are NOT permitted for any of the Interpretation Exams. The interpretation written exams are handwritten only. If you have already successfully passed your Written Component Interpretation Examination, please contact us to get more information on how to register for the Oral Component of your certification exam. It may take more than six weeks for candidates to receive their exam results. We thank you in advance for your patience and understanding. 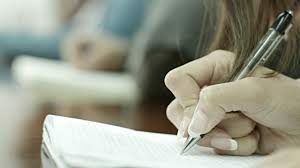 Each translation exam is marked by two experienced certified translators who, after marking each anonymous exam independently, consult each other to determine the final mark, if applicable. Candidates are contacted by email with their results. Translation Candidates who’s score is below the passing mark of 70% may appeal per the instructions outlined in their result letter. Exams will not be returned to candidates. – Only registered Candidates for Certification can sit for the exam. – Only Candidates who have provided ATIO with their signed disclaimer can sit for the exam. – Arrive at least 30 minutes early to sign in and present your government-issued proof of identification (Ex: You driver’s licence or any other 2 pieces of photo identification). Late candidates will not be admitted. – The use of print materials such as dictionaries and other reference works are permitted during the Translation examination only. No dictionaries or references will be allowed in court, community and medical interpreter written exams. 2. After you have logged in, click on “Renew & Purchase” from the menu items listed under your name. 3. This part of the website functions as a “shopping cart” and allows you to pay for your purchases (including renewal fees) directly online, using our secure payment system. 4. Make your selections and click on the shopping cart icon which will bring you to the “check out” page. This is where you enter your financial details. 5. The receipt will be emailed to you. ***EXACT LOCATIONS for Toronto/Ottawa and exam schedule details will be sent to each registered candidate prior to their exam.